In November of 2017 the Road Repair and Accountability Act was passed, otherwise know as Senate Bill 1, or SB-1 – created as a means by which the state of California could offset transportation costs for repairs to highway infrastructure and the expansion of mass transit systems. SB1 placed a $0.12 per gallon excise tax increase on gasoline, a $0.20 per gallon increase on diesel and up to $175 more in vehicle registration fees. It also brought about a 4% increase on diesel sales tax, all of which was met with significant pushback from California voters. Despite a large amount of opposition, SB-1 passed with a 2/3 legislative majority and went live November 1st, 2017. In the summer of 2018, roughly 6 months after the excise tax was instated, fuel taxes were at $0.417 per gallon on gasoline and $0.36 per gallon for diesel. An unmistakable rumble of disapproval began to be heard and felt across the state as an effort to repeal SB-1 took shape, spearheaded by San Diego Republican and City Councilman, Carl DeMaio. Opponents of SB-1 – business owners, legislators and citizens immediately went to work drafting a rebuttal, Proposition 6, also known as“Repeal the Gas Car Tax.” They collected enough signatures to get Prop 6 on the ballot this November, on the grounds that SB-1 adds an additional tax burden to Californians who are already strained under one of the highest excise tax rates, as well as the highest income tax rate in the country at 13.3%. PRO – Proponents of Prop 6 want the gas tax repealed for multiple reasons, most notably to lower statewide gas prices. Because of the high cost of living in California, proponents of the amendment want to decrease the financial burden placed on tax payers at the pump, stating that such high taxes are unfair, especially when the electorate wasn’t given an opportunity to initially weigh in on the passing of SB-1. Last November the bill passed through the state legislature without voter approval, and as one voter put it, “SB1 represents taxation without representation, so passing Prop 6 will ensure that voters have a say when and how we as Californians will be taxed in the future when it comes to gas pricing.” Those in favor of the amendment also believe that the state already has sufficient funding to maintain and fix roads and highways. According to an article at MSNBC, “Some also contend the gas tax hike is a job killer for small businesses since they could hire new employees with the money they are now shelling out in added fuel taxes.” For more information on the perspective of those in support of the amendment, visit www.GiveVotersAVoice.com. CON – In opposition to Proposition 6 are citizens and organization such as the California Professional Firefighters Association, California Association of Highway Patrolmen, American Society of Civil Engineers as well as first responders such as EMTs and paramedics who believe that California needs the $5-billion in additional tax revenue annually to maintain the safety of the state’s highway infrastructure. Critics of the amendment believe that the elimination of the tax money earmarked for transportation funding will jeopardize bridges and roads and will stall or halt “Thousands of road safety, congestion relief and transportation improvement projects in every Californian community.” For more information on the perspective of those in opposition to the amendment, visit www.NoProp6.com. Although drafted by Republicans, Proposition 6 is not entirely a bipartisan issue. 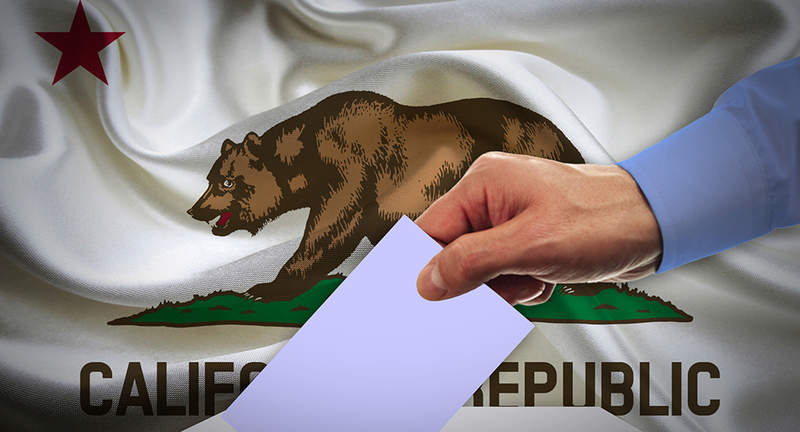 A recent phone poll performed by the Public Policy Institute of California found that 41% of participating voters are in favor of Prop 6, with 48% in opposition. 11% of likely voters were undecided, with a margin of error being plus or minus 4% (last month’s stats: 39% in support, 52% opposed). Says Royd Baik, Tax Manager at SC Fuels, “In November, if people vote no on Prop 6, nothing changes. They’ll keep paying what they’re paying. If they vote yes, the tax conditions of SB-1 will end. A lot of funds have already been collected, allocated and budgeted, so they are not going to be returned to the tax payers. So those conditions will just cease moving forward. Those who are against Prop 6 claim that if you take this money away, California’s roads are going to fall apart. Proponents of the amendment are saying that the state should already have this money in the coffers, and that California voters deserve the right to have a say in whether or not gas taxes are going up.” With voting day right around the corner – November 6th, it will be interesting to see how the futures of Senate Bill 1 and Proposition 6 unfold. Whether you are Republican or Democrat, a proponent of proposition 6 or opposed, the most important thing you can do this November is to exercise your voice as a Californian and VOTE. Learn more about voting in California by clicking HERE.